The entertainment industry is very much that—an industry. And, Donahue is a cog who has been caught in its machinery for decades. When it comes to Hollywood underdog tales, we usually only focus on the big success stories, often negating to talk about the careers of those who toil day in and day out, moving from audition to audition. But, this isn’t a sad and mopey film about unrealized dreams. By creating this retrospective of Donahue’s life, we get this wonderful pastiche of him as a unique individual—a guy who has an endless amount of anecdotes to tell. McLeavey-Fisher plucks him from the periphery and finally puts him in the spotlight. It’s inspiring to watch as Donahue becomes the star of his own movie, with beautifully shot fight sequences that rival any of the productions he has day-played on. Of course, I can’t curate a documentary for this site without once again mentioning how crowded the landscape is for short non-fiction films right now. In a way, though, me bemoaning that there is too much content is another way of saying just how f-cking good McLeavey-Fisher is at making short docs. A twice featured filmmaker on the site, he’s just so gifted at crafting entertaining stories. Yes, partially this is reliant on the subject (who doesn’t love cute dogs? ), but he has an inherent knack for pacing that makes his films effortlessly entertaining. The Guy is the rare short doc that feels like its half its current runtime. In terms of production polish, it’s clearly a step forward for McLeavey-Fisher. Instead of trying to cobble together a “verite” film similar to so many portrait docs about quirky subjects, his approach here is much more controlled and narrative-focused. McLeavey-Fisher juxtaposes the archival imagery that has defined Donahue’s career with polished planned sequences, from expensive-looking action choreography to more subdued shots of Donahue working his day job at UPS. 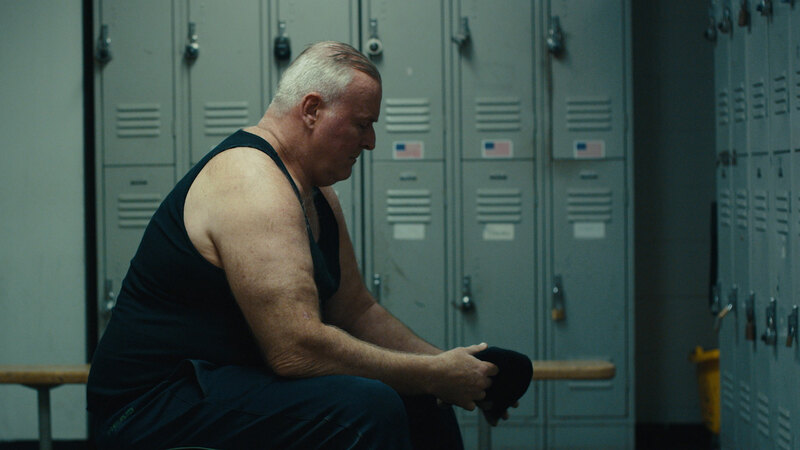 The result gives Donahue the chance to become a headliner while also examining the illogical compulsion that continues to drive him, despite age and injury. Will Donahue ever really “make it”? By showing a collage of his life in such an entertaining form, McLeavey-Fisher seems to suggest that he already has.